Long term and visionary thinking, decades of experience, intensive research and constant innovations make Fronius the global quality and technology leader in the solar technology industry. The family owned company, based in Pettenbach, Upper Austria, has developed into a successful international group. Not only does Fronius' Solar Energy Division offer high-quality photovoltaic solutions, but its sister divisions - Perfect Welding and Perfect Charging - also enjoy great success in their respective fields. This lends additional strength and stability to the brand and creates synergies. We do not focus on quarterly figures, but on sustainable and healthy growth, outstanding quality and the responsible use of resources. With these high standards, we offer our customers an extensive range of products and services, and are a secure and reliable partner to many companies. 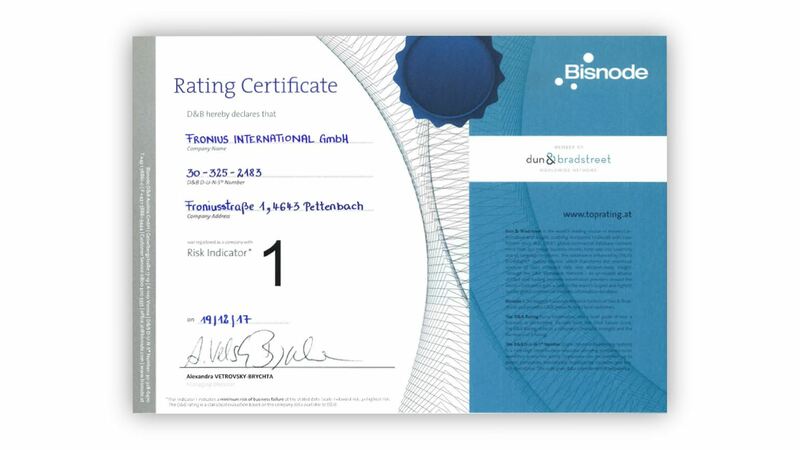 Impartial experts’ opinions confirm our dependability: Dun & Bradstreet (D&B), the largest service provider of business-to-business trade information in the world, assigned Fronius a risk indicator of 1, the highest security factor. In the D&B scoring system, which calculates the risk of bankruptcy using modern statistical methods, we achieved 99 out of 100 points, which represents one of the lowest possible insolvency risk. 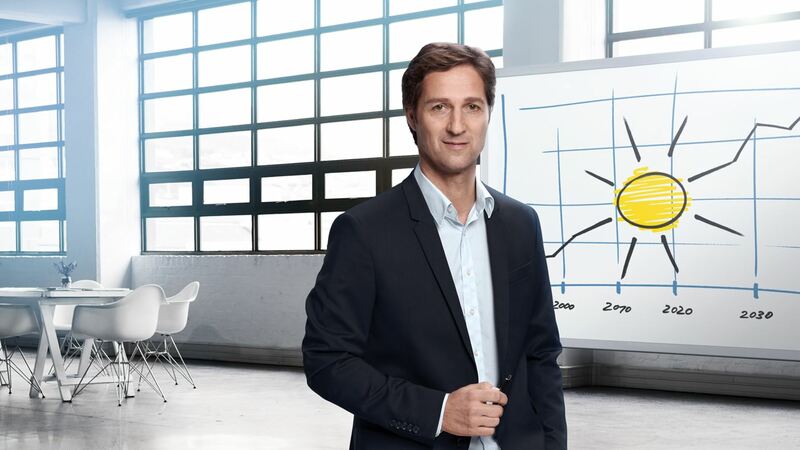 These top marks demonstrate what our customers and partners have known for a long time: Fronius is synonymous with maximum reliability in terms of its products and as a company. The best type of yield is not a curve, but a circle. Fronius has been engaged in the field of renewable energy, in particular solar energy, since 1992. Fronius has been engaged in the field of renewable energy, and in particular solar energy, since 1992.